MEC Shooting Sports is pleased to introduce its latest new product offering, the all new MEC MarksmanTM to the metallic reloading enthusiast. As an industry-leading manufacturer of shotshell reloading presses and equipment, MEC brings its knowledge and expertise to the metallic reloading marketplace. The MEC MarksmanTM single stage metallic reloader and accessory products are made in the USA in Mayville, WI. 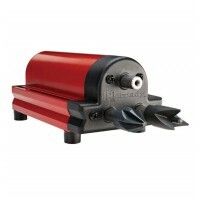 The MEC MarksmanTM is made from ductile cast iron for superior quality and durability. Our patent-pending self-centering shell holder provides greater accuracy and consistency to every reload. The MEC MarksmanTM is compatible with all 7/8-14 thread dies to change calibers quickly. Reload .22 Hornet to .416 Rigby all with one convenient machine. In addition to the MEC MarksmanTM, the Metallic line will include reloading accessories and essentials. 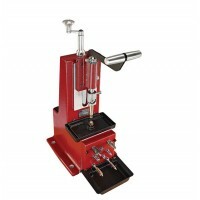 Powder measure, powder trickler, scale and calipers are available to complete the MEC MarksmanTM reloading experience. 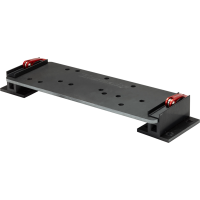 An additional base is available for easy installation and is compatible with the MEC Jig Fixture mounting system. 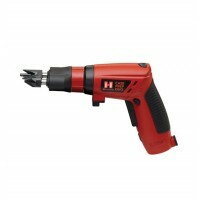 Case prep tools and components are also available. With over 60 years of shooting sports experience, the addition of the MEC MarksmanTM continues the reloading heritage from the BRAND YOU TRUST!